Munster, is one of only two regions on the island, with Ulster, that can claim a continuous distilling heritage, tracing back centuries. Munster’s link to that glorious past is through the famed Midleton distillery, the home of Jameson, Redbreast and of course Midleton Very Rare. We’ll take a look at its glorious past and bright new future. Its 19th century past, however, featured a host of other names, including the Walker’s Thomondgate Distillery, which was very lovingly described by Alfred Barnard in his seminal 1886 tour of Ireland’s distilleries. He relayed how its site covered 6 acres, it produced 300,000 gallons a year and how the view over Limerick and the River Shannon from the drawing room bay window of the manager’s house was as beautiful as any in the country. It was Cork, though, that held claim to the majority of Munster’s distilling prowess during Ireland’s (first) Golden Age of Distilling. The city, itself a thriving and cosmopolitan centre of international trade, and its immediate environs, boasted at least seven distilleries in 1886. These were Glen’s Distillery in Kilnap; Allman’s in Bandon, which had the second largest malting house on the island after Guinness; the Watercourse, North Mall, the Green, and Daly’s distilleries in the city proper; and the Old Midleton Distillery. It was the latter five of these that came together to form the Cork Distilleries Company, gradually closing premises until eventually all production was happening in Midleton. The distillery’s foremost brand was Paddy Whisky, named after its legendary salesman Paddy Flaherty, a man renowned throughout Munster and beyond at the time for always standing patrons a round of his eponymous whiskey wherever he visited. Midleton later became the sole distillery in the Republic of Ireland after it was joined by its Dublin kin Powers and Jameson under the Irish Distillers umbrella in 1966. It is from here that Munster whiskey, with acknowledgement to Bushmills, began to represent the most famous Irish whiskeys around the world. Jameson became nearly synonymous with Irish whiskey, with Redbreast being the sole constant expression of Ireland’s unique single pot still available. A large amount of the praise for keeping Irish whiskey alive during those dark years is down to that dogged and indomitable Munster spirit. Fortunately, we have now arrived at Ireland’s second Golden Age and Munster distilling is blossoming once more from these well-set roots. With a much lauded artisanal and community-based approach to their processes, the Dingle Distillery has become a darling of Irish whiskey connoisseurs. It made its first releases in late 2016 but these first batches sold out immediately and have ballooned in price since, a remarkable show of support for such a young whiskey. The Déise is now home to not one but two whiskey distilleries, both looking to shake up the standard Irish whiskey set-up. The Waterford Distillery is based in a state of the art former Diageo brewery, which has been refit and converted to produce a more cerebral spirit. Its enigmatic founder Mark Reynier has made provenance and terroir a major focus of the distillery’s. Along with sourcing all of the distillery’s grain from a select group of local growers, the distillery also aims to be the first ultra-organic Irish whiskey. The county’s other distillery, the Blackwater Distillery, has already been making a name for itself with its diverse selection of botanicals for its gins (including Irish favourite, Barry’s Tea). It hopes to bring the same diversity to its whiskey production, with the first steps being seen in its Retronaut Whisky, eschewing the traditional “e” as a sign of the breaking of the whiskey monopoly in Ireland, and also dropping the now-standard back-story of where it sourced a 17 year old whiskey. An alternative counterpoint to Midleton’s well established operation, the West Cork Distillery grew out of the dreams of three friends working from their sheds. 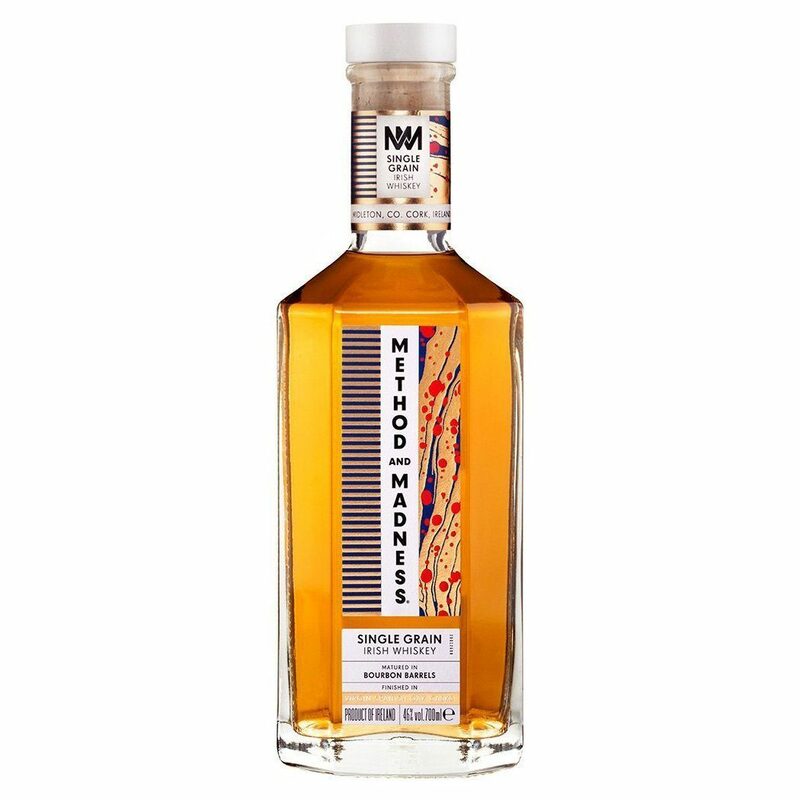 Using only spring water as well as experimenting with their distilling and aging processes, the distillery is an exciting new voice in the growing milieu of Irish whiskey micro-distilleries. The Tipperary Boutique Distillery is another interesting venture from the heart of the Golden Veil in one of Ireland’s most fertile regions. Being founded in 2016 its own spirit has yet to come to market but it has supplemented its offering with three sourced whiskeys, the 11 year old “The Rising Single Malt”, the 10 year old Knockmealdowns, and Watershed single malt, as well as its excellent Red Wine finished single malt. Munster has remained the beating heart driving the life-blood of Irish whiskey throughout its darkest period and is now giving life to many new and exciting forms in the Irish whiskey world. To taste the best of what Munster has to offer, why not try Jameson’s Blender’s Dog or Method and Madness Single Grain, or West Cork’s 12 Year Old Port Finish.